This story contains discussion of violence. 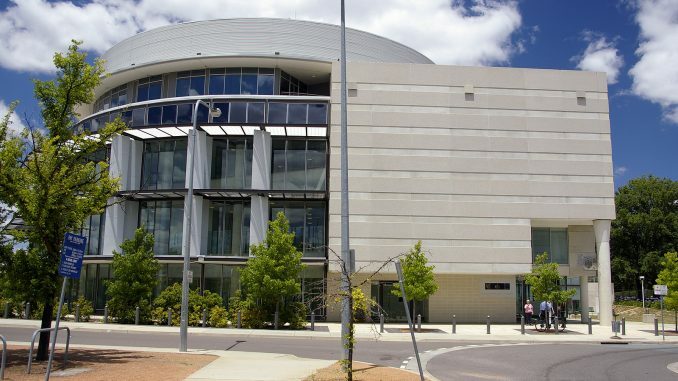 Alex Ophel, 18, who is accused of attacking four students and his tutor in a Copland classroom, has been charged with attempted murder, and has pled not guilty on the grounds of mental impairment, according to reporting by the Canberra Times. Appearing with his lawyers in Canberra Magistrates Court this morning, Ophel was also charged with one count of intentionally inflicting grievous bodily harm, three counts of assault occasioning actual bodily harm and one count of common assault. These are charges in the alternative in the event that he is not found on the facts to be guilty of attempted murder. Ophel was allegedly responsible for the attack which occurred on 25 August in Copland G032. According to ACT police, the students and tutor were attacked with a baseball bat. In the weeks before the attack Ophel anonymously published several disturbing videos, and the day before the alleged attack made a Facebook post discussing his motives. After his initial detention, Ophel was sent for a mental health assessment by the court, and remains in custody in the Alexander Maconochie Centre.